Britain's Girl Guide Association is calling for all Photoshopped and airbrushed images in the media to be clearly labelled. 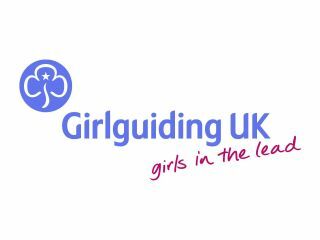 Girlguiding UK is adamant that girls are increasingly feeling unnecessarily pressured to look like the airbrushed pictures of celebrities that surround them every day. Head Guide Liz Burnley says that the ubiquitous nature of such Photoshopped pictures in celebrity magazines presents young girls with "unobtainable ideals" and is calling on the government to regulate the use of such pictures with compulsory labelling. A recent Girlguiding poll of 1,109 girls revealed that a shocking 50 per cent of those girls aged 16 to 21 have considered having surgery to enhance their looks, while 42 per cent of 11 to 16-year-olds admitted that they closely watch what they eat. "We know how profoundly they feel the pressure to conform to a particular body image and how badly they can be affected by these unobtainable ideals," said Ms Burnley. "We are proud to support the calls of our members who believe that it is time that the prime minister addressed their concerns and acted in the interests of girls and young women across the country." "Young people with eating disorders tell us that being surrounded everyday by pictures of unnaturally 'perfect' bodies makes their own recovery so much more difficult to achieve. "We know the difference it would make to all young people's self-esteem and body confidence if they could be sure which of the images they see are natural and true to life."